Generating and executing great ideas is the key to staying ahead in the rapidly changing world. It seems so basic. Why is it so hard to actually get it right? According to innovation expert, the real problem is that we’re teaching people to ask the wrong questions about their business — or none at all. There has to be a better way and Beyond The Obvious shares how. 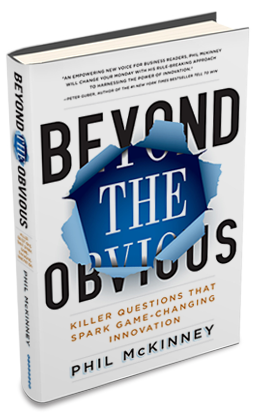 In Beyond The Obvious, McKinney will help you use his proven FIRE (Focus, Ideation, Ranking, Execution) Method to dig deeper and get back to asking the right questions – the ones all companies must ask to survive. Full of real-world examples, this book will change the way you operate, innovate, and create, and it all begins with battle-tested questions Phil has gathered in note cards throughout his career. These questions will re-frame the way you see your products, your customers and the way the two interact. 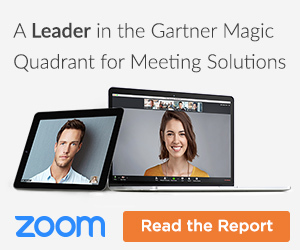 Whether you’re a company of thousands or a lean startup. Beyond The Obvious will give you the skills and easy to follow plan you need to make both the revolutionary changes and nuanced tweaks required or success. Phil McKinney is an innovation expert who has held positions in a wide range of companies throughout his career. Most recently he served as Chief Technology Officer for Hewlett-Packard (HP). He is an award winning innovator whose products and technologies are used each day by 100’s of millions of consumers and businesses worldwide. He and his work has been profiled by media outlets including Vanity Fair, BusinessWeek, Fast Company, the New York Times, Wall Street Journal, FOX, CNBS and many others.